Created for all ages, AMIE Skincare was created by Fiona Parkhouse when she wanted a more natural skincare range for her teenage daughter and didn't find suitable products. 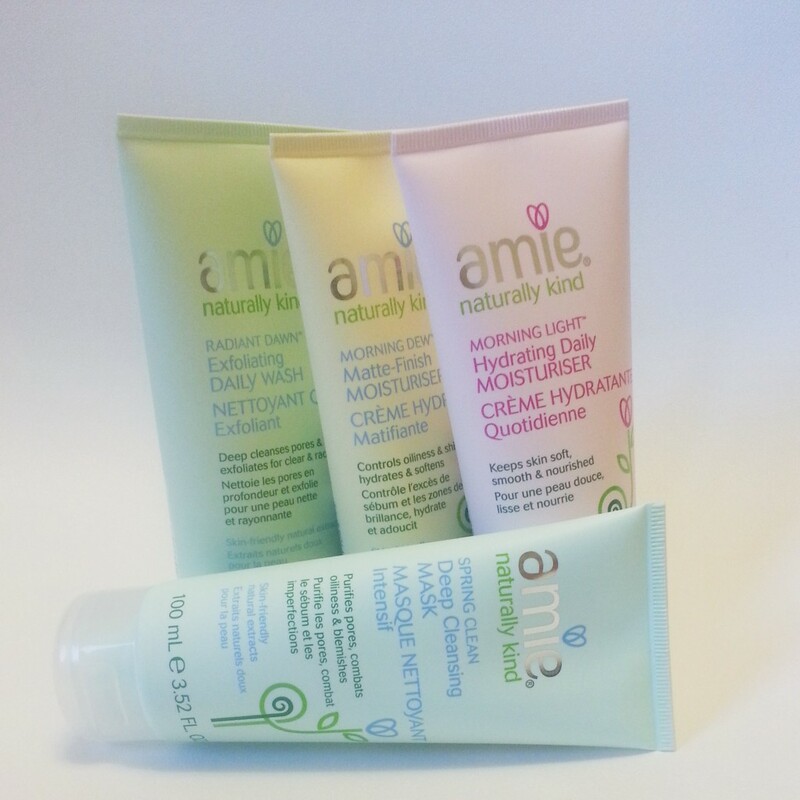 Luckily, AMIE is now available exclusively at Shoppers Drug Mart. And quite affordable! Radiant Dawn Exfoliating Daily Wash ($10), very fine grains which are blueberry seeds. Contains green apple and lemon to purify and refresh. Vitamin E to moisturize. Love that this doesn't feel scratchy and doesn't dry out the skin. Morning Light Hydrating Daily Moisturizer ($12), a lightweight moisturizer that doesn't leave skin greasy. Contains rose hip oil to moisturizer and mallow extract to soothe. This moisturizer is great for combination skin-types like me but for Fall/Winter I'll need something a little more moisturizing. As for the Spring Clean Deep Cleansing Mask ($12), I found the scent a little strong but that's because it contains peppermint which I personally am not a fan of. And the Morning Dew Matte-Finish Moisturizer ($12) was too light of a moisturizer for me. As for the rest of the AMIE Skincare I'd be interested in trying the facial wipes and toner. Overall, a great product line that is inexpensive and contains rather great ingredients. Available now at Shopper Drug Mart.